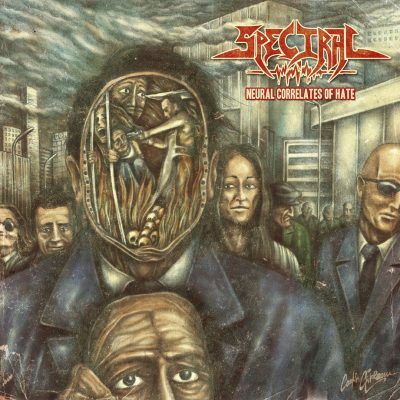 Romanian Progressive Technical Death Metal act Spectral reveal a new single from their recently released debut album, Neural Correlates of Hate, the track Nihilist, with guest guitar solos by Christian Muenzner (Alkaloid, Eternity’s End, Spawn of Possession, ex Necrophagist, Defeated Sanity) now available for streaming here: https://www.youtube.com/watch?v=Hocr4DdYOoc. The band’s first opus was released March 12th in collaboration with Loud Rage Music and is making waves among the fans of Technical Progressive Death Metal and specialized media outlets. Also 3 guest solos were recorded: 2 by guitar virtuoso Christian Muenzner (Alkaloid, Eternity’s End, Spawn of Possession, ex Necrophagist, Defeated Sanity) and one by Calin Paraschiv (Pestilence, Necrovile, Clitgore). The cover artwork is signed by the one and only Costin Chioreanu (Twilight13media studio).